In a world of ice and wind, science determines when people die, announcing it on their birth. But three teens have broken all odds, surviving past their death days. Bonded together through unknown means, they must enter into the only space program available to them, a program that will allow them to escape their dying world and the fear of being discovered. But danger lurks around all corners and the fear of being discovered inches closer and closer. 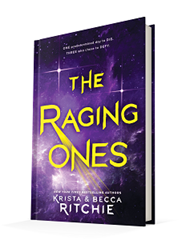 Published August 14, 2018, by Wednesday Books The Raging Ones by Krista Ritchie & Becca Ritchie is the first in their YA science fiction series. 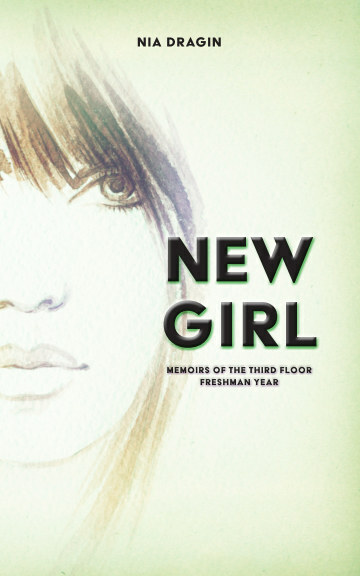 This novel suffers from one major problem: that fact that it is far too long. This is quite a shame considering that the concept of the book is quite impressive by itself, but the problem is that there is too much exposition, too much narrative, that it slows down the pace of the novel to a crawl, making the reader very much aware of the length of the novel. There’s nothing wrong with long books, the problem is that the story, the action has to keep the reader engrossed enough that it doesn’t feel so long. I’ve read Tolkien, the classics, and those are long novels, but there’s something about the narrative, about the uniqueness of the story that allows the reader to lose track of the page number. This novel fails to do that, which is quite unfortunate. Part of the problem is that the authors, they spend too much time on exposition. This shouldn’t be a problem, and typically it’s not, but the problem is that there is so much of it. For about half the novel, the reader is going back and forth on the same subject, the same subject of how these three characters have dodged their death days, thus forming a link between the three. A mention once or twice is enough for the novel, the reader understands that this information is essential, but the authors begin to hit the reader on the head with that knowledge, repeating that information again and again. There’s more information that could have been provided for the reader, more backstory on the characters themselves. If the authors are going to be spending this much time on exposition, it would have better benefited them to expand on this exposition, to expand on the characters and their pasts than on the fact that these three characters are tied together. Now, that’s not to say that there aren’t some fun moments in the beginning. These are three very different characters, two men and one female, who have been thrown into this situation they have no control over, a position they are trying to navigate as much as they can. This leads to some humorous moments for the reader that allows for some character development and growth in the dynamics. If there is one thing the authors know how to do, it’s how to build characters. Their voices, the internal narrative of the characters, they are all distinct and powerful. The reader is able to get to know who these characters are, their struggles, and the fears they don’t want to face. Sure, everyone is afraid of death, that’s for sure, this novel sort of builds on that in the way it builds up the internal narratives and personalities of these characters.